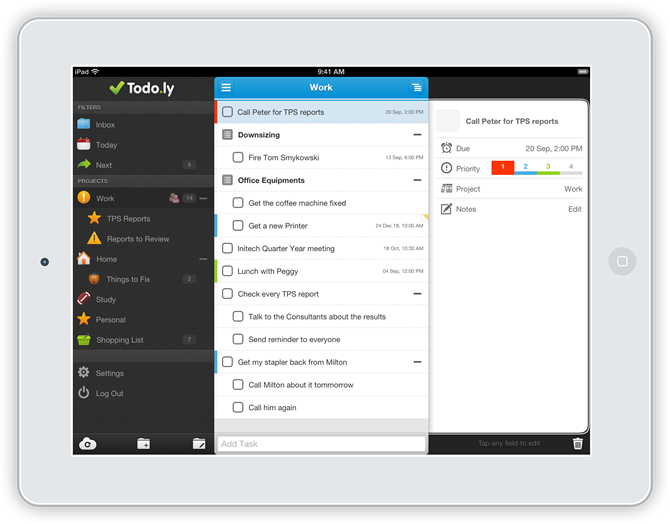 Todo.ly Blog » Todo.ly iPhone / iPad App is out now! The App works on both iPhone and iPad and supports all features we have in the Web App. It has an intuitive swipe to indent feature, you can quickly indent items and projects with a simply swipe. To reorder items just tap and hold on an item till you can drag and move the item. You can find the Sharing Project under the Project settings. 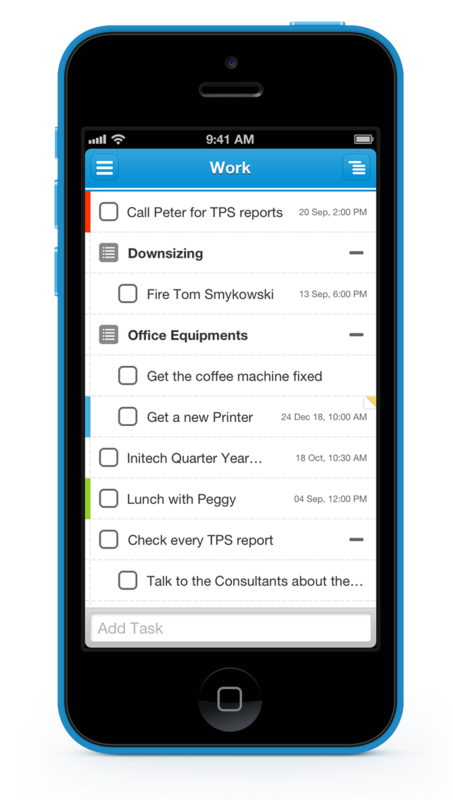 The App can be synchronized to the Todo.ly Cloud anytime, but It works offline too. Download from iTunes for Free. Tipp: You don’t need to tap the upper left menu icon to open the left menu, just simply swipe on the “Add Task” textbox to open it and swipe to close it. The same way you can close the task detail window to return to your tasks. We hope the rest is intuitive and you will find your way through the App. Enjoy!